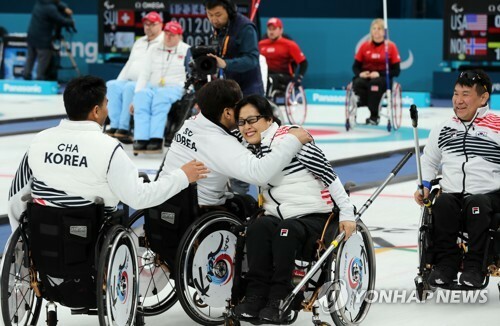 GANGNEUNG, South Korea, March 15 (Yonhap) — South Korea reached the semifinals of the wheelchair curling competition at the PyeongChang Winter Paralympics on Thursday after finishing top of the qualifying round. 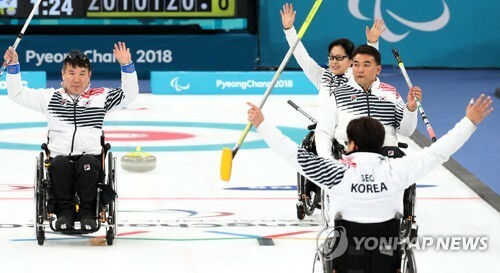 The team of Seo Soon-seok, Bang Min-ja, Cha Jae-goan, Jung Seung-won and Lee Dong-ha beat China 7-6 in their last qualifying match at the PyeongChang Paralympics to finish the round-robin preliminary stage with nine wins and two losses. 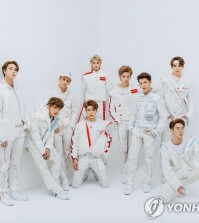 Canada has the same number of victories and defeats, but South Korea has a tiebreaking edge with a better head-to-head record. South Korea previously beat Canada 7-5. China has one more game left to play with a record of eight wins and two losses, but even if it beats Great Britain later, South Korea will still be first in the standings. 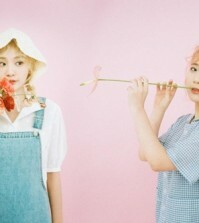 South Korea will play its semifinals game on Friday against Norway, which finished fourth in the qualifying round with seven wins and four losses. Led by head coach Baek Jong-chul, South Korea had already secured a spot in the semifinals after beating Britain 5-4 earlier in the day at Gangneung Curling Centre in Gangneung, Gangwon Province. The host nation was down 4-2 after allowing the British three consecutive points, but they leveled the score in the seventh end. In the eighth end, Jung made a perfect draw shot to seal the victory for South Korea. Against China, South Korea trailed 5-3 after allowing four points in the fourth end. The host, however, got its lead back by making 6-5 after the sixth end. China leveled the score later, but South Korea managed to secure a precious point in the last end for the victory. South Korea is looking for its second ever Winter Paralympic Games medal in curling after winning silver at Vancouver 2010.